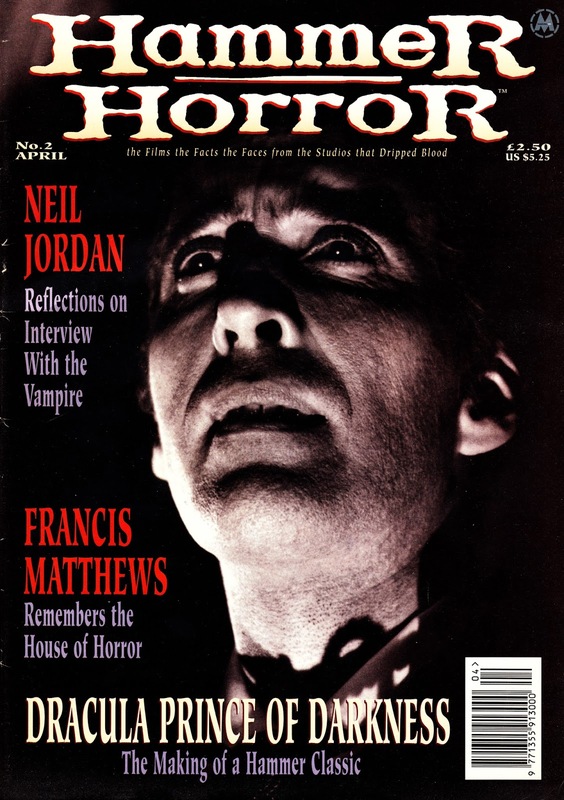 From 1995: Sir Christopher Lee on the cover of MARVEL UK's HAMMER HORROR Magazine issue 2, edited by Marcus Hearn. There are many, many people far more capable of writing the detailed obituary he deserves than I, so i will leave that to others. But his enormous (media coverage yesterday couldn't seem to decide if he had made over 250 films or 250 screen appearances) body of work is formidable. The covers of all eight issues of HH can be found in a previous post here.